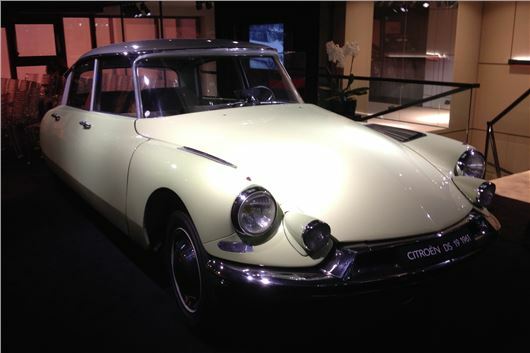 Citroen will be exhibiting DS models from the past 60 years as part of its plan to establish DS as a separate brand. The Citroen DS19 was first shown to the public in 1955, making the futuristic DS 60 years old in 2015. After huge success in the East African Safari rallies, it was followed by the Citroen DS Safari SW and stunning Citroen DS Decapotable convertible. Now that Citroen is gradually establishing DS as a separate boutique brand with the relaunch of the DS3, DS4 and DS5 next year, it is using the London Classic Car Show at ExCel International 8th-11th January to display its heritage. There will be a parade of classic cars on the Grand Avenue, including a 1961 DS recently added to Citroen's UK press fleet, and the DS5 landaulette that conveyed President Hollande to his inauguration. The engine range of DS3 and DS4 models has now been revised and extended. All DS models will lose their DS badging by the end of 2015. Details in our car by car entries at Citroen DS3 and Citroen DS4. The main styling changes are very complex headlights incorporatimng distinctive DRLs.